When overworked Lucy becomes exhausted, Mary Jane warns her to lighten up or, according to Mary Jane, she will start hallucinating. 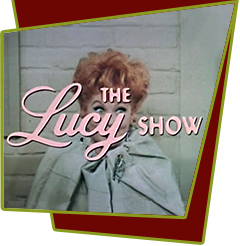 When comedian Bob Bailey leaves his trained chimp in Mr. Mooney's office, Lucy thinks she is seeing things and that Mr. Mooney has turned into a monkey. The monkey appears and apparently disappears in Mr. Mooney's chair, she begins to think she's loosing her mind and consults a psychiatrist. Special Notes: This is the last guest appearance by close family friend Hal March (1920-1970).